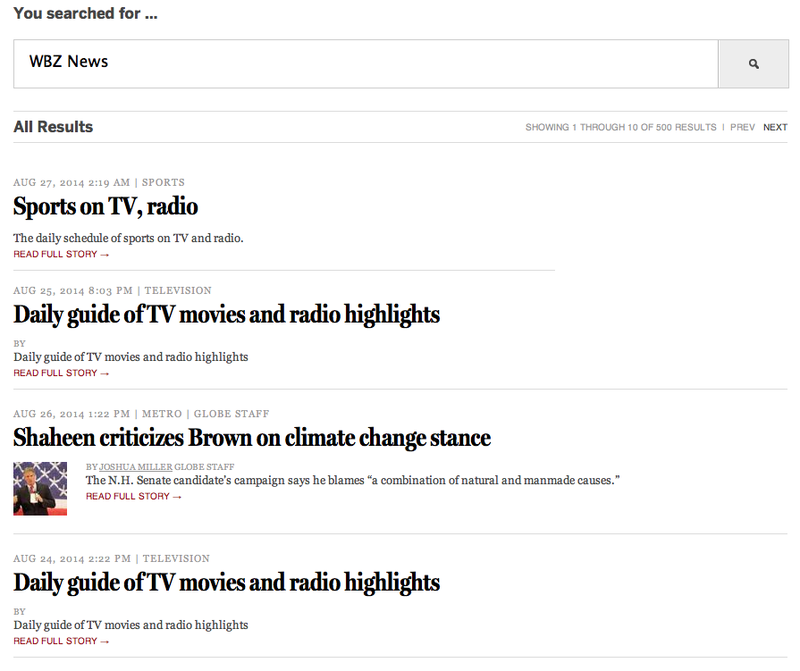 The Boston Globe is on the story like Brown on Williamson, starting Page One Metro. On the op-ed page of the stately local broadsheet (yikes! can we still use that term? ), columnist Joan Vennochi tried to inject some reality into the conversation. Tolman said he’s sorry now. But before he apologized, the word “unbecoming” triggered an urgent fundraising letter from Marty Walz, a Healey backer and president of the Planned Parenthood Advocacy Fund of Massachusetts. “It means unattractive, indecorous. It’s not a word you hear men on Beacon Hill use about each other,” wrote Walz. True enough. And, with Tolman in the lead in a tight, increasingly nasty race, it’s no surprise the Healey campaign would jump on her opponent’s use of it. 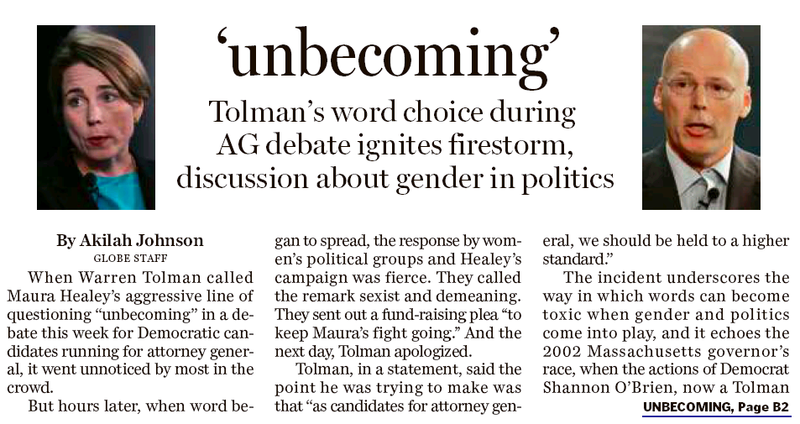 After all, the word “unbecoming” holds a special place in Massachusetts politics. But overplaying it is a mistake. It didn’t help the last female candidate who tried. Crosstown at the Boston Herald, an editorial entirely underplayed it. How did it come to this? How did two really smart contenders for attorney general, two people who have already served the public and seem committed to the notion of public service, get caught up in a meaningless war of words? Warren Tolman, a former state senator (and a sometime writer for these pages), took issue in a Tuesday debate with his Democratic primary opponent Maura Healey, a former assistant attorney general, when she criticized his work as a lobbyist. “You go down this path, Maura, it’s just unbecoming,” he said. Well, you would have thought from the reaction of the sisterhood that the man had just suggested she tie on an apron and return to the kitchen. Right. Better both candidates should get back to business. 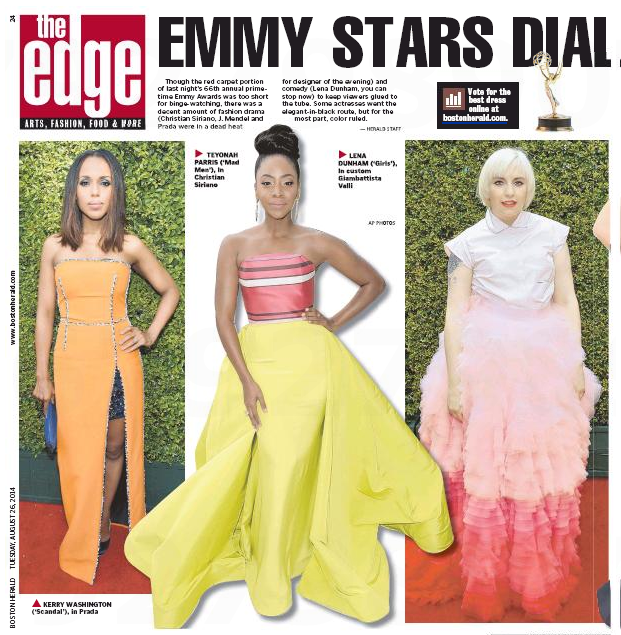 Girls gal Lena Dunham has a track record of being aggressively afashionable (see here for details) but last night’s Emmy getup was entirely beyond the pale (pink). Good Lord! Doesn’t she have any friends to tell her not to wear that? Or at least a mirror? Really, it’s time for A&E’s Intervention to step in. So. 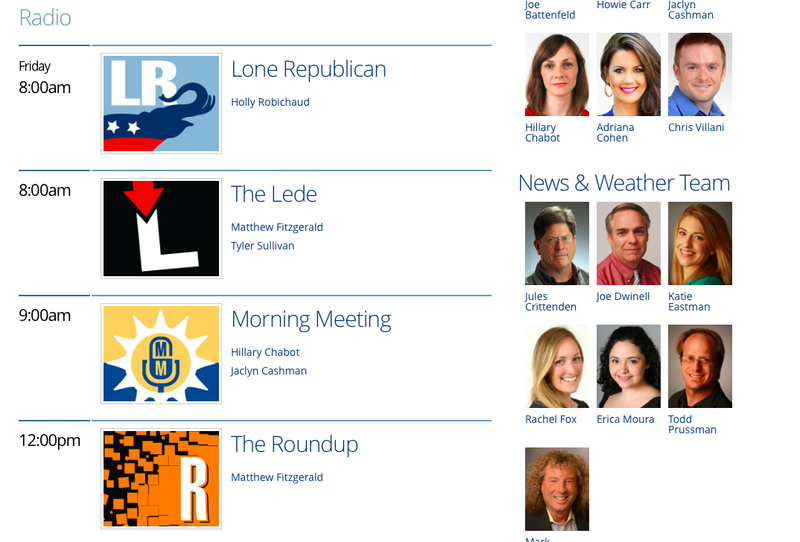 Is the Massachusetts Democratic gubernatorial primary primarily – inexorably – changed now that the candidates have had their debate on Boston Herald Radio? ‘Cause that’s what today’s feisty local tabloid promised. Start, as always, with Page On, the top half of which touts the Big Bakeoff. 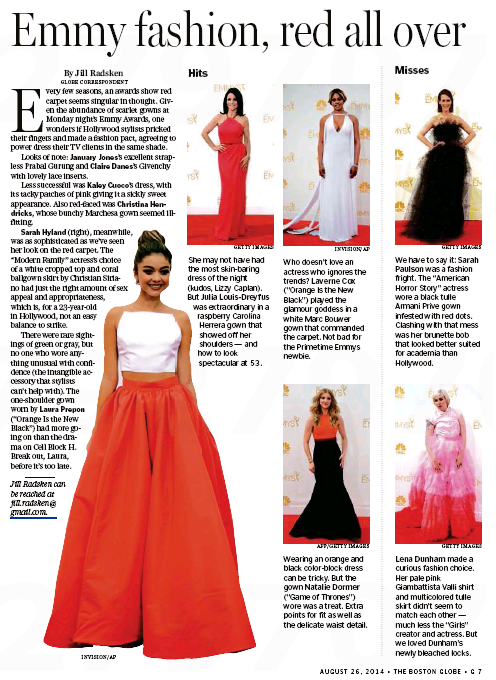 Inside, the Herald has two pages of new/hype in anticipation of the main event. And just in case you haven’t grasped the transformative power of a debate on Internet radio, the Herald scribes all strike the same chord in their ledes. Leave your talking points at the door. Save your stump speeches for the campaign trail. At today’s Boston Herald Radio debate, we’re aiming for a free-flowing conversation where we’ll learn more about the three candidates facing off in the Democratic gubernatorial primary. 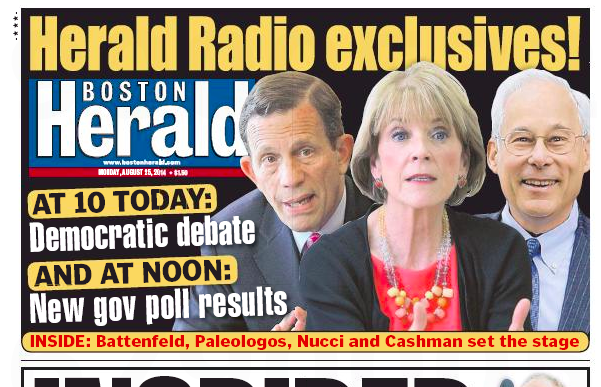 It’s a long shot, but there’s still a way for Attorney General Martha Coakley to lose the Democratic gubernatorial nomination, and it would have to start at today’s Boston Herald Radio debate. Coakley’s campaign is showing signs of cracking. Democratic party leaders are getting worried it will be 2010 all over again. Believe it or not, the primary election is just over two weeks away, and Democrats face a critical choice on who will represent their party in November. The timing of today’s Democratic gubernatorial debate on Boston Herald Radio makes it pivotal, and likely to set the tone for the closing days. 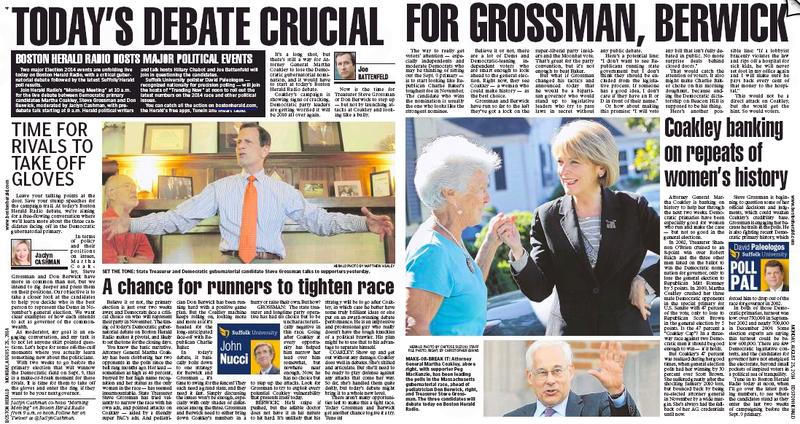 As of 1 pm – the debate’s over, the poll numbers are out – here’s the only coverage the hardsearching staff could find: A Boston Globe online recap. Coakley, the attorney general, defended herself, offered a few hits on Grossman, but also aimed some fire at Republican Charlie Baker, who is expected to be his party’s gubernatorial nominee. 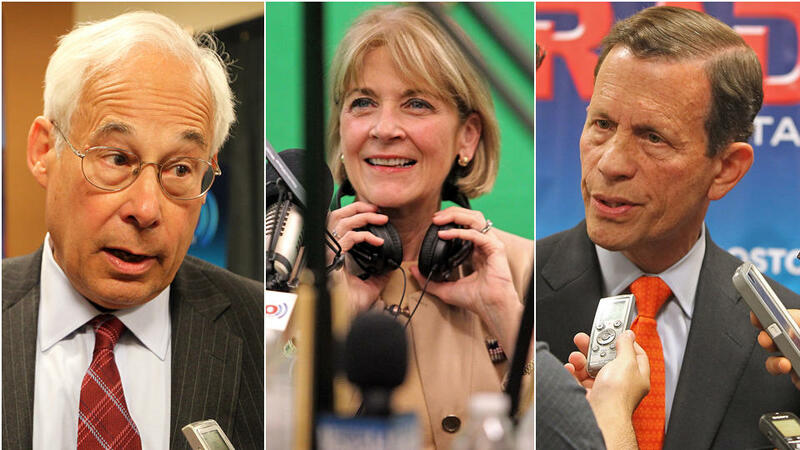 Just over two weeks before the Sept. 9 state primary, the three Democratic candidates vying for their party’s nod upped their rhetoric against each other right from the beginning of an hour-long Boston Herald Radio debate at the newspaper’s Seaport headquarters. The debate between the Democratic candidates for governor kicked off in high gear today as Treasurer Steve Grossman went on the attack over Attorney General Martha Coakley’s $100,000 settlement with a lobbying group. “It’s the worst form of judgment,” said Grossman, who slammed what he called the go-easy environment on Beacon Hill. Not so easy-going off Beacon Hill though. The Herald knows it’s not who listened to the web stream of the debate that will determine its impact. It’s the play the debate gets in the rest of the news media that counts. As the headscractching staff noted earlier, the Boston Herald only got half the story when it zealously reported yesterday about the boycott of the ALS Ice Bucket Challenge triggered by Jim Rigg, the superintendent of Catholic schools for the Archdiocese of Cincinnati. 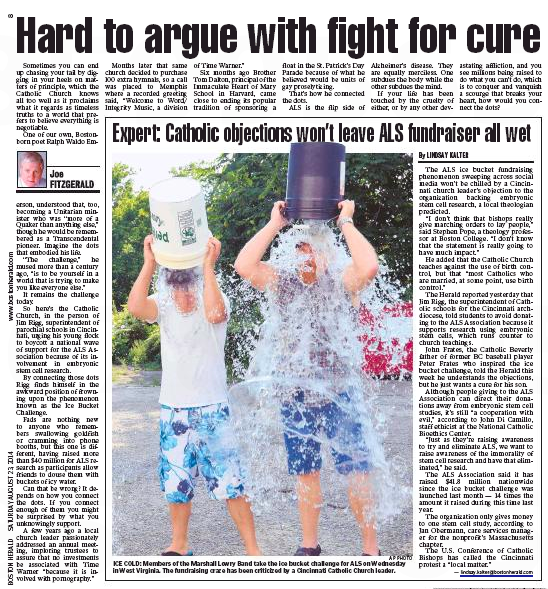 What the feisty local tabloid missed was the new Anti-ALS Association Ice Bucket Challenge that directs donations to the John Paul II Medical Research Institute in Iowa City, which does not use embryonic stem cells in its research (the ALS Association does). 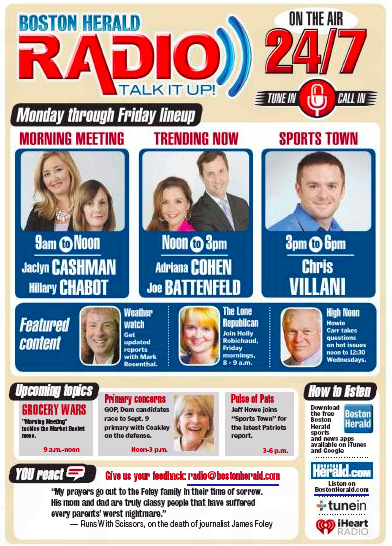 So now to today’s Herald, which devotes a full page to the ALS rumpus – a news report by Lindsay Kalter and a column by Joe Fitzgerald – and still no mention of the competing challenge. Hey, Heraldniks – do we need to come over there and write it for you? If so, you’ve really hit rock bottom. 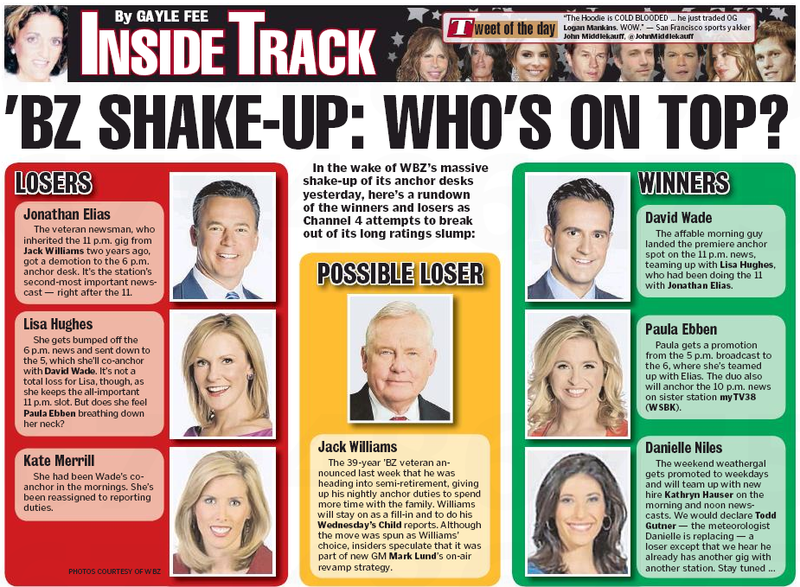 The headscratching staff spent most of Friday trying to figure out this Boston Herald piece. 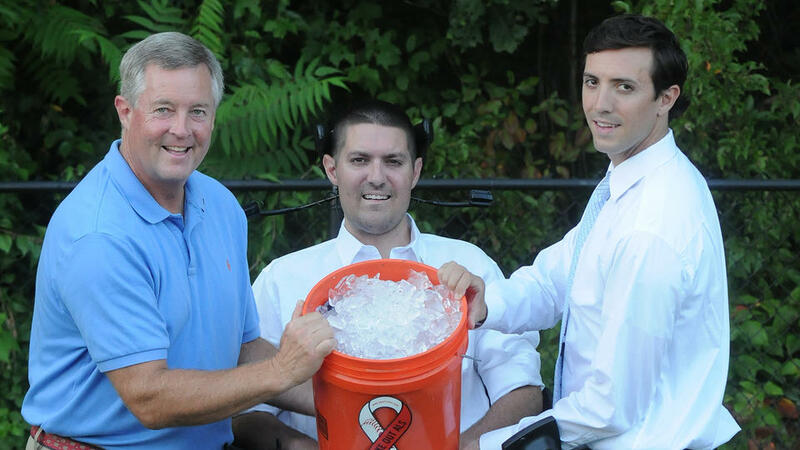 The Beverly father of former BC baseball player Peter Frates — responding to a Cincinnati church leader who threw cold water on the family’s wildly successful ice bucket challenge because it funds ALS embryonic stem cell research — said he’s a good Catholic who just wants to find a cure for his son. “I understand the Catholic dogma. I’m also conflicted with the teachings, I struggle with it, too. I just want my son cured,” John Frates told the Herald yesterday. But the late-summer viral sensation — that has lured former presidents, celebrities and athletes — suffered a setback this week when Jim Rigg, the superintendent of Catholic schools for the Cincinnati Archdiocese, told students to stop any plans to donate to the ALS group because it supports research using embryonic stem cells, which violates the teachings of the church. Okay, but why then does the Herald piece include this photo of Jim Rigg? 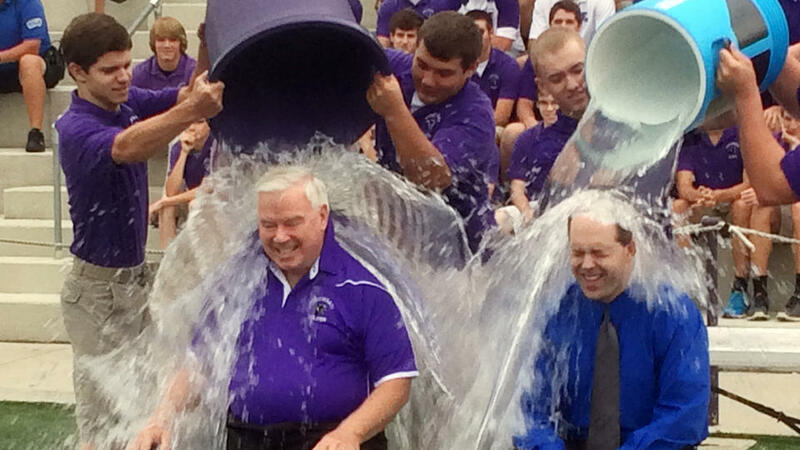 ‘SOCIAL MEDIA MIRACLE’: Jim Rigg, at right in the top photo, superintendent of schools for the Cincinnati Archdiocese, has counseled students not to donate to the ALS Association because of the church’s stem cell stance. Nowhere does the Herald explain why Rigg is getting a bucket of ice water dumped on him if he opposes the ALS campaign. Turns out there’s a competing ice bucket challenge, as reported by Boston Globe kissing’ cousin boston.com yesterday. That’s why – say it with us – it’s good to live in a two-daily town. 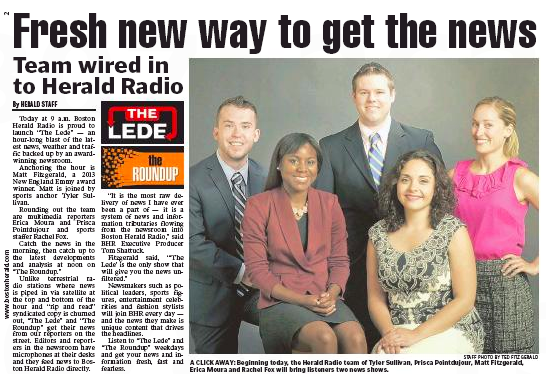 Great news for the up to several people who listen to Boston Herald Radio! 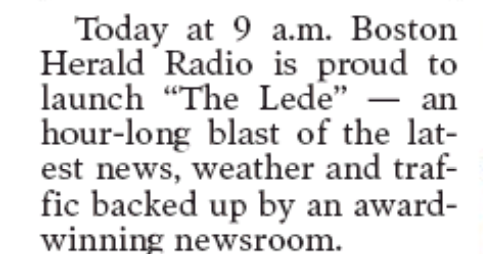 To make matters even more confusing, the BHR website has “The Lede” at 8 am, not 9. 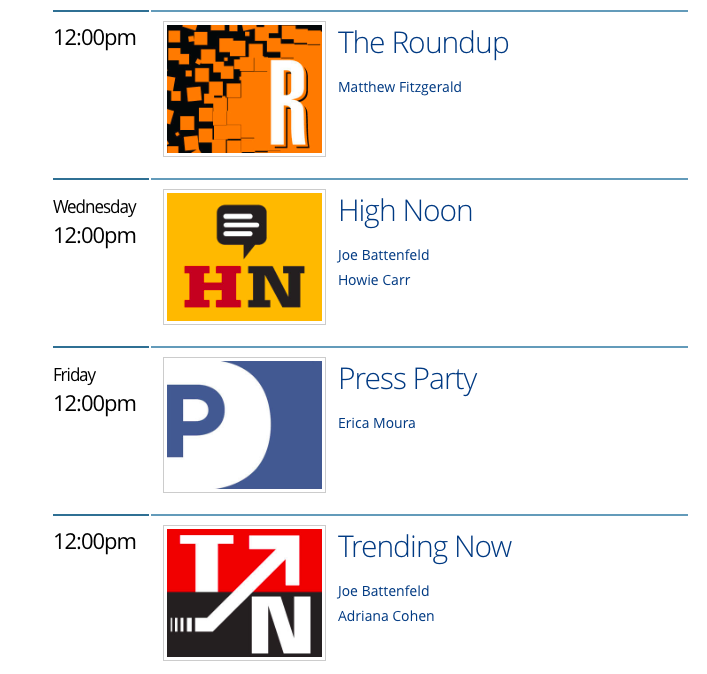 Beyond that, how many shows can they run at noon? C’mon, Heraldniks – we know you’re giddy with delight over all the new programs, but sober up, wouldya? Up to several people are counting on you. You are currently browsing the It's Good to Live in a Two-Daily Town blog archives for August, 2014.